BEAT GOES ON: Herman's Hermits drummer Barry Whitwam. 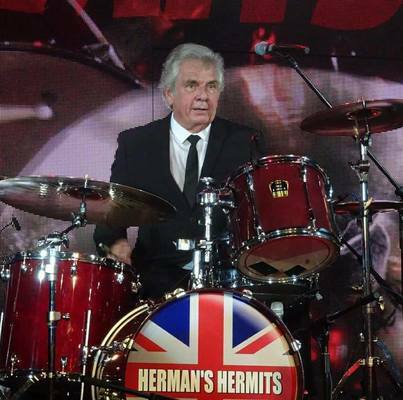 After 54 years of playing across the world Herman’s Hermits drummer Barry Whitwam still smashes out six-minute solos. “I’m just going to carry on until I drop dead,” the 74-year-old said, ahead of the Hermit’s next Geelong gig. Whitwam is the only remaining original member from the ‘60s super group, which was one of the great bands of the British Invasion. But even readers who grew up decades later would recognise their iconic No Milk Today and other chart-topping hits. “When you do shows everyone wants to hear the old stuff,” Whitwam said. The physically-demanding drums had kept him fit over the years despite sending him “semi-mad”, he said. Whitwam started drumming at age 12 in South Manchester after watching Chuck Berry and Elvis on TV. He left school to become a hairdresser at 15 and drummed for a local band part-time, rushing from work to gigs. “I had to dash across town on my little scooter,” he said. In 1964 Whitwam joined Herman’s Hermits, which saw him travel England and the world. He still remembers celebrating a dual 21st birthday in 1967 with The Who’s Keith Moon in Flint, Michigan. “We had to pay $25,000 in damages,” he said. Cake fights and fire extinguisher battles ensued as hundreds of fans filled the hotel. 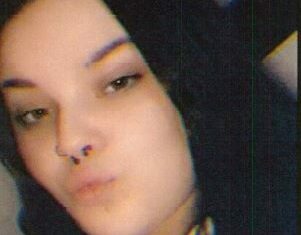 “In the morning the pool furniture and the fence round the pool had gone,” Whitwam said. He will have a few more stories to tell when Herman’s Hermits come to Geelong Performing Arts Centre on 1 September. The band has been touring Australian theatres since 4 August, performing at 6pm for their older fans. “This is perfect for them and it’s perfect for us too – we’re back in hotel by 9pm,” Whitwam said. The band first played in Australia with Tom Jones in 1966 and completed more than 50 tours of the country since. Even now they play 200 shows a year. “Everyone’s exhausted when we leave the theatre – it’s a vascular workout,” Whitwam said. Whitwam looked forward to playing in Geelong and meeting locals after the show. “We just want to see as many people in there as possible – they’re in for a great night and a lot of memories will come back,” he said. Whitwam still enjoys living out of a suitcase, with four t-shirts, two pairs of pants and stage gear, and playing to audiences worldwide. “If you didn’t enjoy it, it would be the worst job in the world,” he said.